ATLANTA, Georgia - Top-ranked American cyclists that competed in the Tour de Georgia presented by AT&T included USA Cycling Pro Road Champion Levi Leipheimer (Astana), 3-time USA Cycling Road Champion George Hincapie (Team High Road), 2003 Tour de Georgia champion Chris Horner (Astana) and ProTour veteran Bobby Julich (Team CSC). 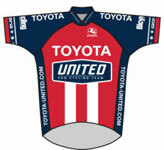 There were a total of 15 professional teams who accepted invitations in March, 2008 to compete in the 6th edition of the Tour de Georgia presented by AT&T. 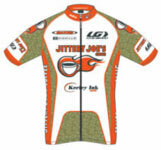 Each team brought eight athletes to ride in the 600-mile, seven-day event, which began Monday, April 21 on Tybee Island, Georgia. 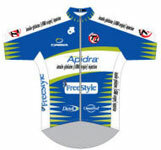 The original field of invited teams included Saunier Duval-Scott, a ProTour team based in Spain. Due to a high number of injuries in races the past two weeks, Saunier Duval did not have enough riders for a competitive squad in the Tour de Georgia and was given permission to pull out of the field. 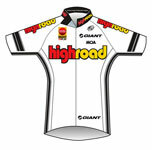 Tour organizers invited Rock Racing, a UCI Continental Team based in California, to fill the 15th slot for the 2008 race. Rock Racing will brought an all-star roster to Georgia, led by former individual time trial world champion (2002) Santiago Botero of Colombia. The 36-year-old veteran was the overall winner in April, 2008 in the Redland Bicycle Classic, his first-ever win in the United States. He also took home the red jersey of best climber in the four-day race. 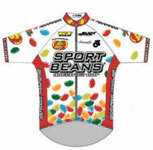 Botero was joinied by American teammates Fred Rodriguez (Tour de Georgia sprint champion in 2003, 2006) and Tyler Hamilton (2004 gold medalist in individual time trial). Rodriguez has the most stage victories for any rider in the Tour de Georgia with four total. There were many notable Americans in the 2008 contest. Leipheimer (Astana), the reigning USA Cycling Pro Champion (road race), returned to Georgia for the third time. He won two stages in 2007, including the "Queen Stage" of the Tour, Stage 5 that finished at the top of Brasstown Bald Mountain. 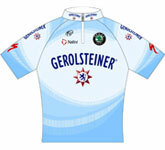 In 2005 he finished 2nd overall racing for Gerolsteiner. He was be joined by teammate Horner, who won the Tour de Georgia in 2003 and is a three-time USA Cycling National Racing Calendar Champion (2002-2004). 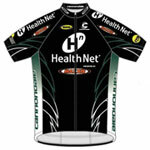 Hincapie (Team High Road) is a two-time USA Cycling national champion and won the Tour of Missouri in 2007. This was his third trip to the Tour de Georgia. 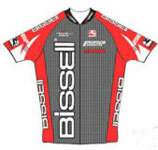 Julich (Team CSC) finished 4th in the 2004 Tour de Georgia. Riding as a pro since 1992, Julich won the bronze medal at the 2004 Olympic Games in the Individual Time Trial and in 2005 won Paris-Nice stage race. Other top riders from the United States included: Tom Danielson (Slipstream Chipotle), who won the Tour de Georgia in 2005; Christian VandeVelde (Slipstream Chipotle), 2nd in the Tour last year; David Zabriskie (Slipstream Chipotle), three-time USA Cycling National Time Trial Champion; and Chris Baldwin (Toyota-United), second overall at 2008 Redlands Bicycle Classic. There was a distinct international flavor in Georgia, as pro riders represented 26 countries. Li Fuyu (GE Marco Polo) a top contender from China, Bradley McGee (Team CSC) was one of the world's best sprinters from Australia, fellow Australian Rory Sutherland (Health Net) won USA Cycling's NRC title in 2007 and Canadian Svein Tuft (Symmetrics) was the 2007 UCI Americas Tour Champion. With a worldwide reputation as a tune-up for the Tour de France, the Tour de Georgia presented by AT&T has perennially drawn the attention of teams from Europe and across North America. 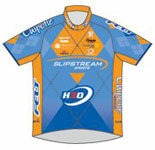 Five teams in the field received invitations to race in the Tour de France in July, 2008 including American-based teams High Road and Slipstream Chipotle presented by H30. Team CSC had been the No. 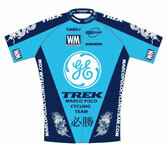 1 ranked ProTour team in the world for several years.